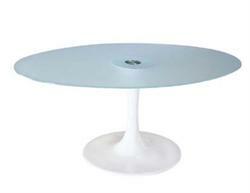 The Astro table is a modern interpretation of Eero Saarinen’s classic Saarinen Dining Table a.k.a. 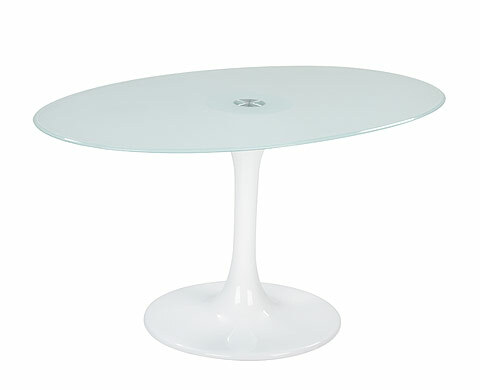 Pedestal Table, designed originally in 1956. This reproduction features a champagne molded fiberglass base which creates a continuous organic fluid form, upon which sits an ovular or round tempered glass top.